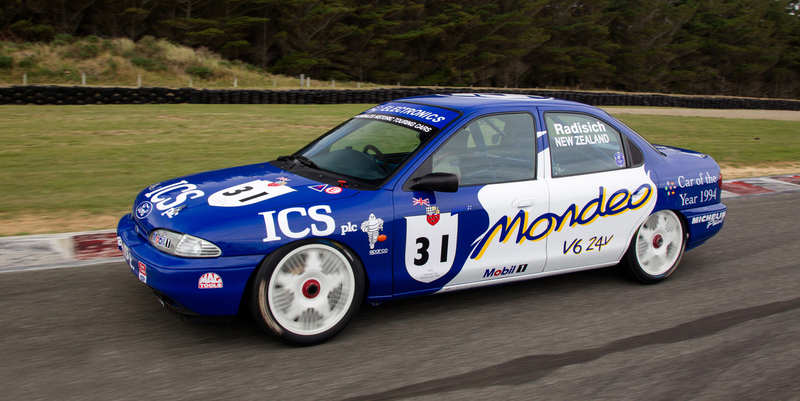 Well-known race driver Paul Radisich will attend the show, along with his 1994 Ford Mondeo, which he drove to British Touring Car Championship victories at Donnington Park and Silverstone. Built by Andy Rouse, its 2-litre V6 Cosworth engine puts out 300bhp. The car was raced in South Africa in 1995 before returning to the UK and disappearing. In 2011 Paul found it in Wales, by now in a sad state with a blown engine. After a full restoration it now rests quietly at Highlands Motorsport Park. Paul, a most friendly chap, will sign posters, talk racing and tell you all about Aegis Oil. He is the managing director of this company, which blends and packages oil to API World Specification, the only New Zealand company to do so.